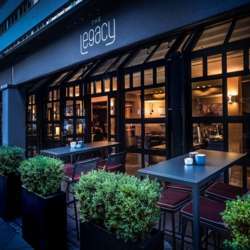 We are very happy to invite you to join us to enjoy the Friday evening & pre-celebrate the easter together in a lovely place at the Legacy Bar in Meridien Hotel with a great vibes and a warm atmosphere. As Anita Krizzan said, Spring will come and so will happiness. hold on. life will get warmer, now a joyful mood is already in the air to welcome spring-blooming. Join us to enjoy our evening and make it memorable moments. You can order light to smoked specialities (the “Pulled Pork Burger”) as one of the signature meals at the Legacy Bar & Grill. The bar offers you Longdrinks of best quality, unique cocktails, signature drinks and mixologist creations to be ordered. And also well-selected wine and beer. If you are new in town or new to InterNations, or simply looking to meet new people, this is a great opportunity for having fun, mingling, meeting new expats people and making new friends/contacts.